Tourism and agriculture would be the main focus of the Tobago House of Assembly’s budget for the 2018-2019 fiscal year, which is to be presented in the THA Legislature in June, before being forwarded to the Ministry of Finance for consideration in the national budget. So said Finance Secretary Joel Jack who, speaking at Wednesday’s weekly Post Executive Council media briefing, also said he expects the new ferry, the Galleon’s Passage, would help revive the Tobago economy. “Given what is happening in the current Tobago economic environment, I believe we have overcome the challenges as it relates to the sea bridge. We anticipate that with the commissioning of the new fast ferry (Galleons Passage), we would have three functioning vessels on the sea bridge. This will provide comfort to the tourism sector and the business community will be allowed to continue to facilitate inter-island trade,” he said. 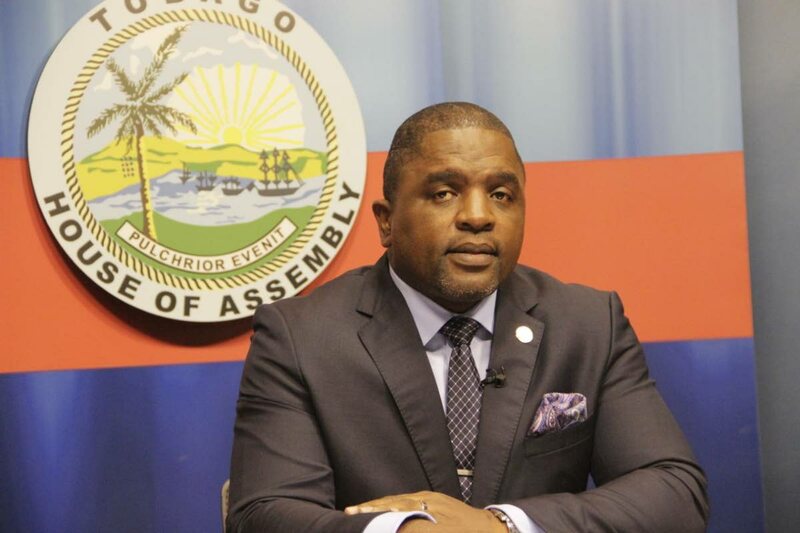 He noted a $100 million allocation for the THA, as reimbursement for backpay for workers last year, saying the total amount was $140 million, with the $100 million being a partial payment that would be used to fund priority developmental programmes throughout the new fiscal year. “The $20 million for the agriculture road access programme can be considered an increase. This will assist the THA’s attempts to diversify the economy through some sectors including agriculture and tourism. “Agriculture will be given special priority and that $20 million will go a long way to ensure farmers have easy access to their farm lands…” he said. He said Division would continue to strive for economic growth by preparing Tobago entrepreneurs and the business community for opportunities in the next two years and continue to promote export facilitation and work towards expanding the new industries. Asked what short-term plans the THA has put in place to revitalise the Tobago economy, Jack responded by saying that the Division was currently doing an annual Gross Domestic Product (GDP) exercise, evaluating the economy sector by sector, and that a detailed report would be provided in the budget statement in June. Also asked about the outcome of a meeting between the Tobago Chamber of Commerce and the THA on March 13 to discuss concerns by the business community that the Tobago economy was in a state of collapse, Jack said he was awaiting details of research done by economist Dr Vanus James to make an informed decision. James had made a presentation at the meeting on behalf of the Chamber, in which he detailed the shutdown some 34 small and micro-businesses over a six-month period preceding March, and recommended a $750 million emergency bailout package over a five-year period. “We are still waiting on the research in terms of how that sum was quantified and how they arrived at that figure. This Assembly is willing to work with the private sector to provide an enabling environment,” he said. “What that figure ($750 million) means is that consistently the businesses in question would have been generating income on an annual basis to arrive at that figure - just putting it hypothetically - and as well those business would have had to been paying their fair share of taxes on an annual basis. On an agreement taken at the meeting to establish a nine-man committee comprising members of the Chamber and the Executive Council, to further discussions for economic growth and revitalisation, Jack said the committee would be set up soon. Reply to "Jack: focus on tourism, agriculture in THA 2018-19 budget"